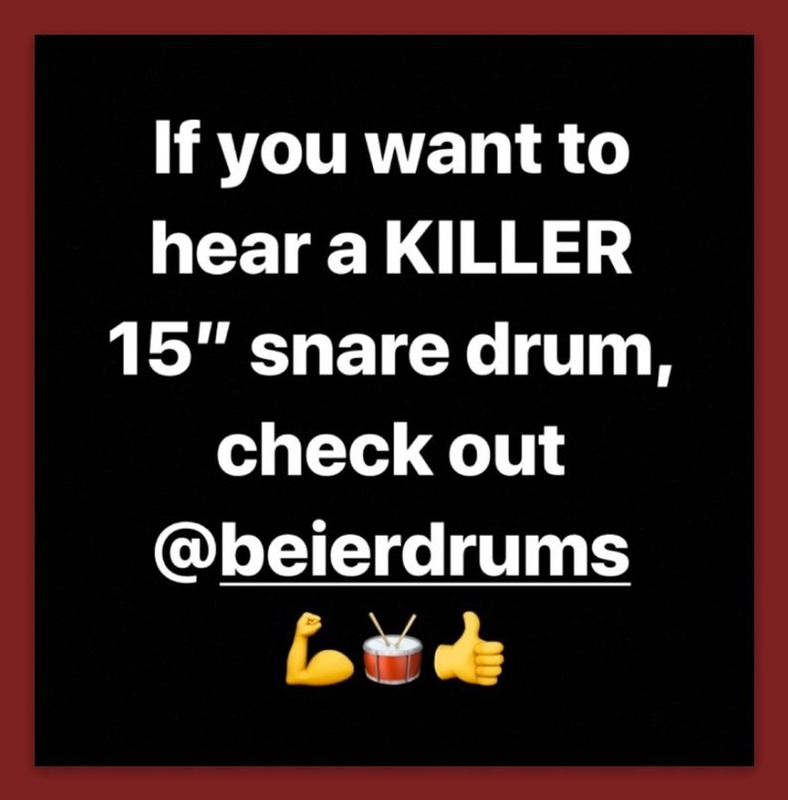 Sending out a big Thank You to Jason Cooper who recently posted these images on Instagram. 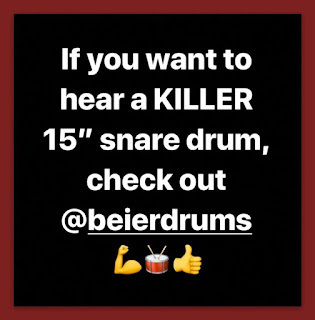 I really appreciate you taking the time out to do this, and for taking time out to check out the 15" drums. 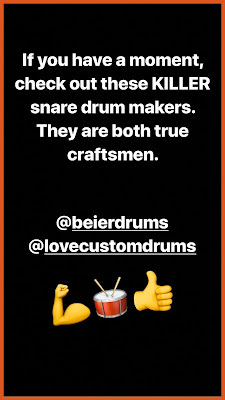 My manufacturing has been dedicated to bringing the 15" snare drum back to the industry, and it is something that will be permanent. 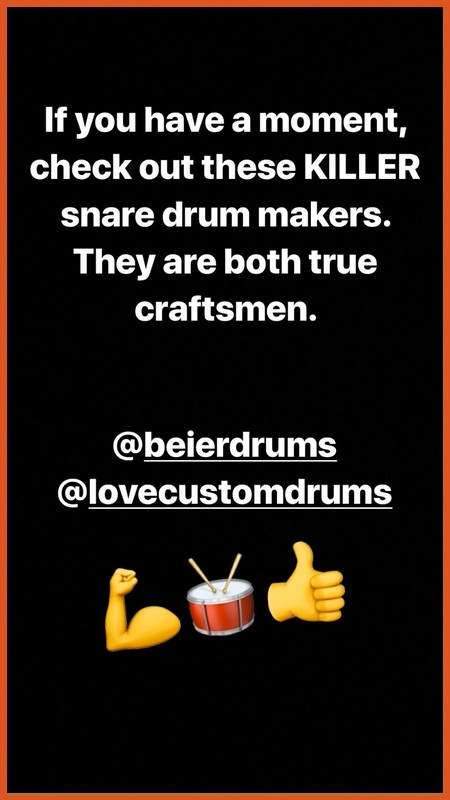 I also want to send out a Congrats to Love Custom Drums on all of their success. This can be a very difficult business, and you have done a great job. As always, I am looking forward to staying in touch Jason....Thanks Again!